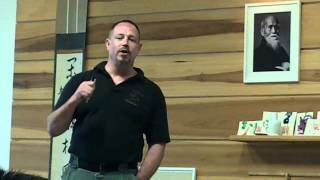 Rory Miller Seminar Clips – Conflict Research Group, Intl. Video 1: Blind folds applied, seminar students learn to feel the attack through muscular clues via touch. One more Miller great drill. 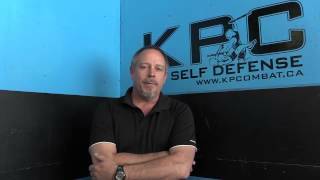 The Academy of Self Defence on the road April 2014. 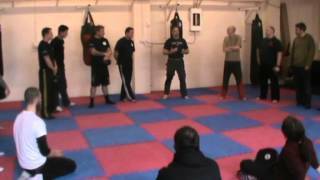 Video 3; Rory Miller seminar for the Academy of Self Defence. Training Rory's one stop fighting scenario in the toilets, changing rooms and showers. It is in environments like these that fights take place, train in them. 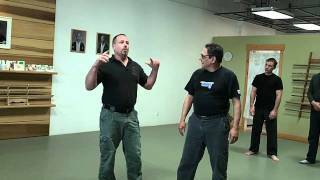 Rory Miller explains about the surprising effect on a violent attack, and the difference in readiness level, comparing to regular practice. 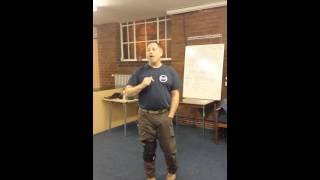 Rory Miller explains about the different kind of freeze reaction to an assault.